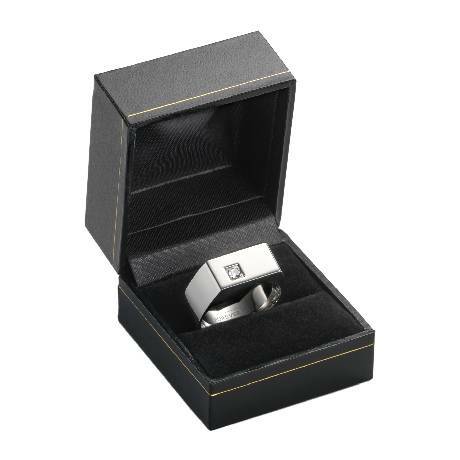 Sleek and sophisticated this seranite men's wedding band is one of the latest new trends from Benchmark. 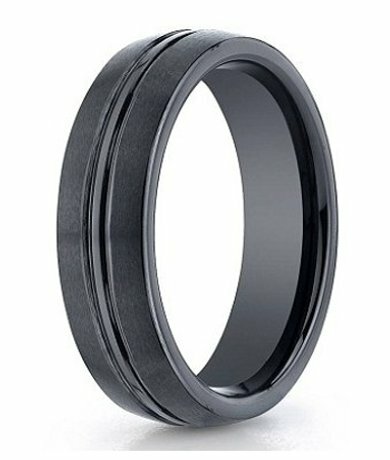 Since black is the natural color of this ceramic-based material, it will never lose its high polish nor will it scratch or fade. 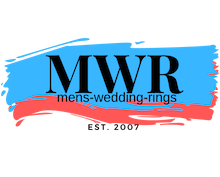 This 6mm style has a satin finish with a polished center groove.Comfort-fit rings should be ordered 1/2 size smaller!